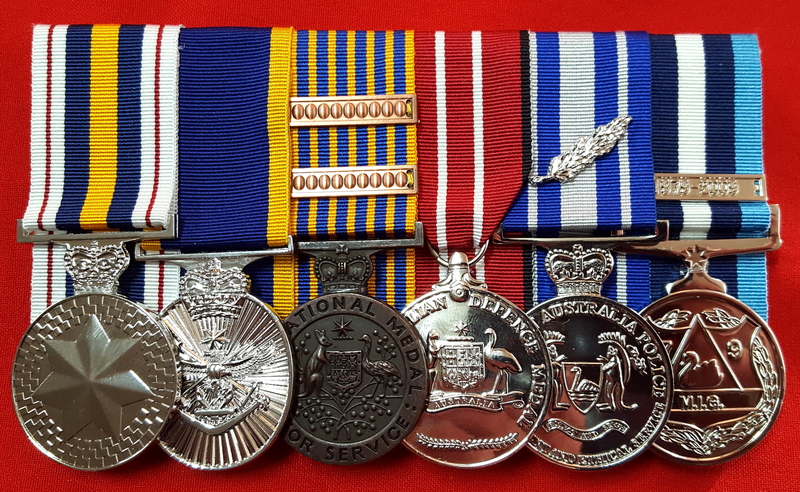 At JB Military Antiques we offer professional medal mounting and framing services. 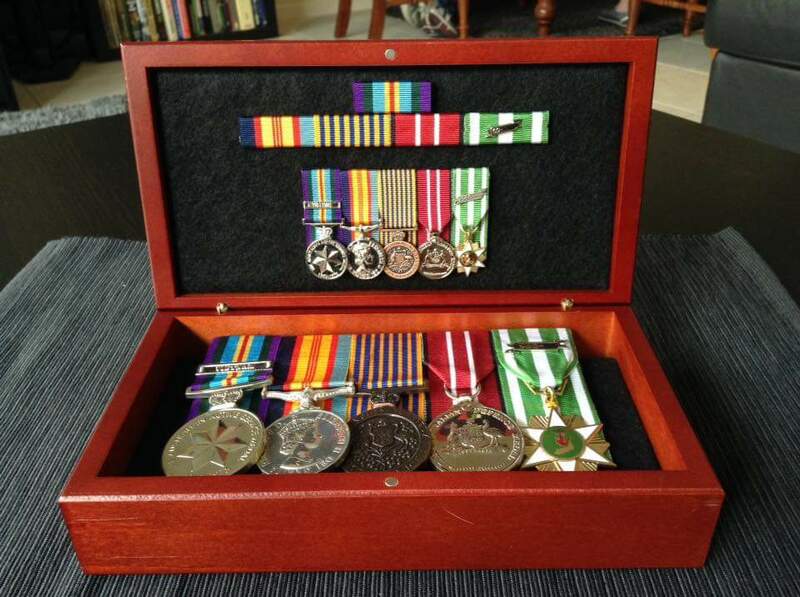 These services start from just $30. 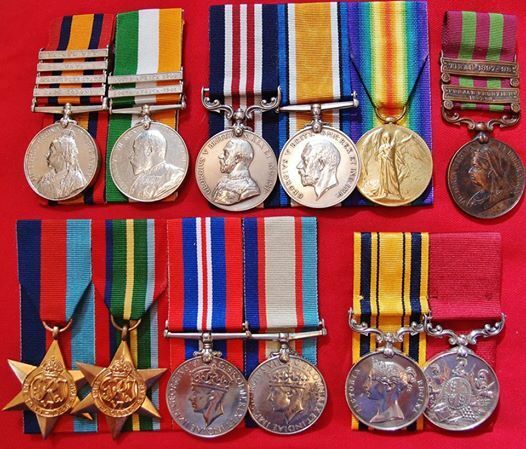 We traditionally sew mount our medals, rather than glue them as is common practice today. 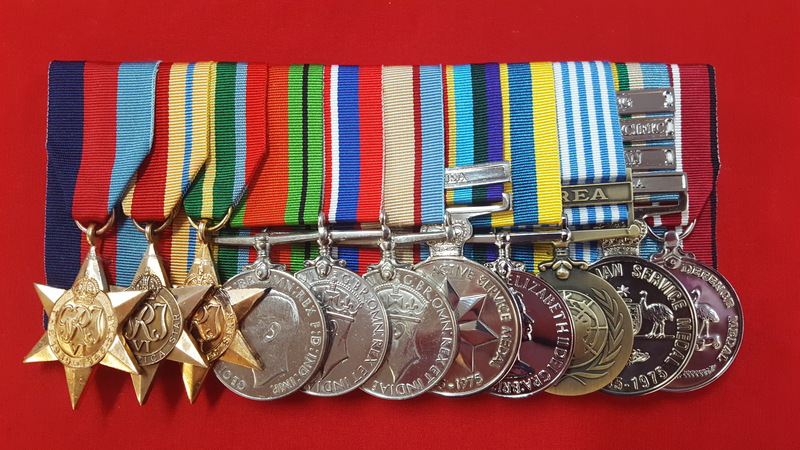 You will need to come into the shop or contact us with your requirements as we will need to know how many and which type of medals you need mounting. 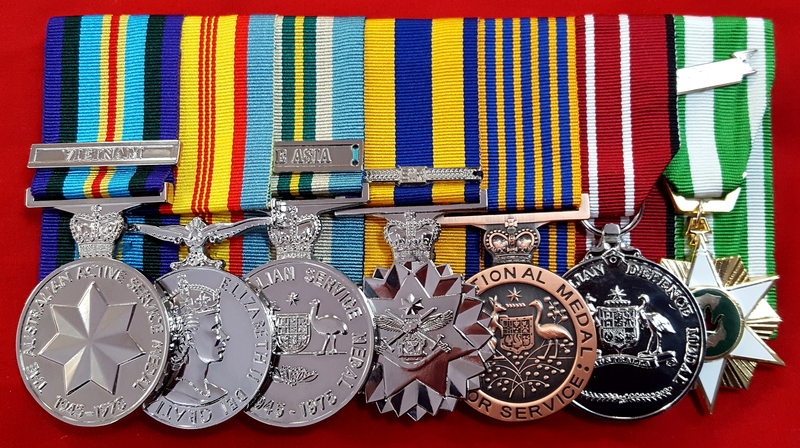 We can offer the standard court mounting or old fashioned swing mounting, depending on your requirements and budget. 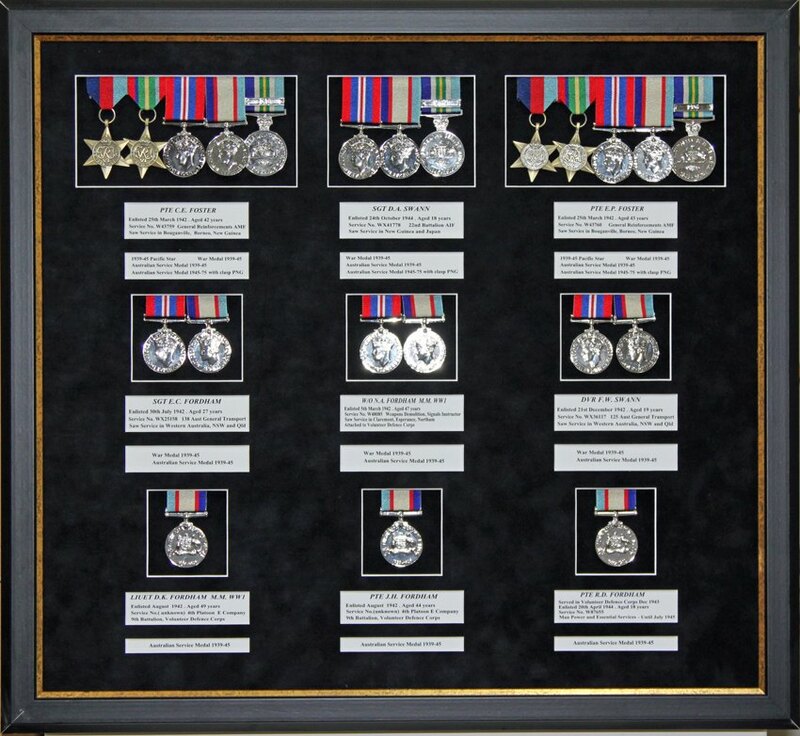 We can also supply replica medals, badges, ribbon bars and other related items to add to your medals for framing. 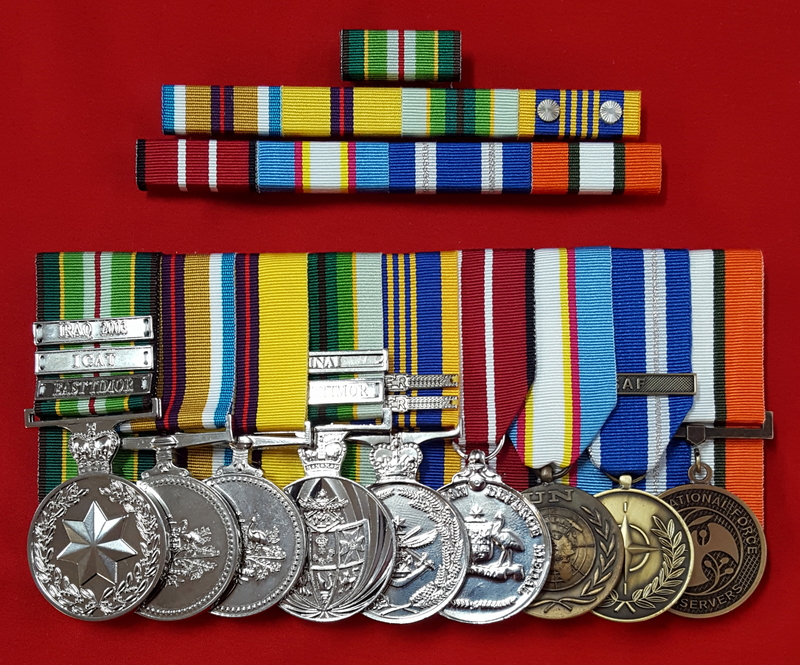 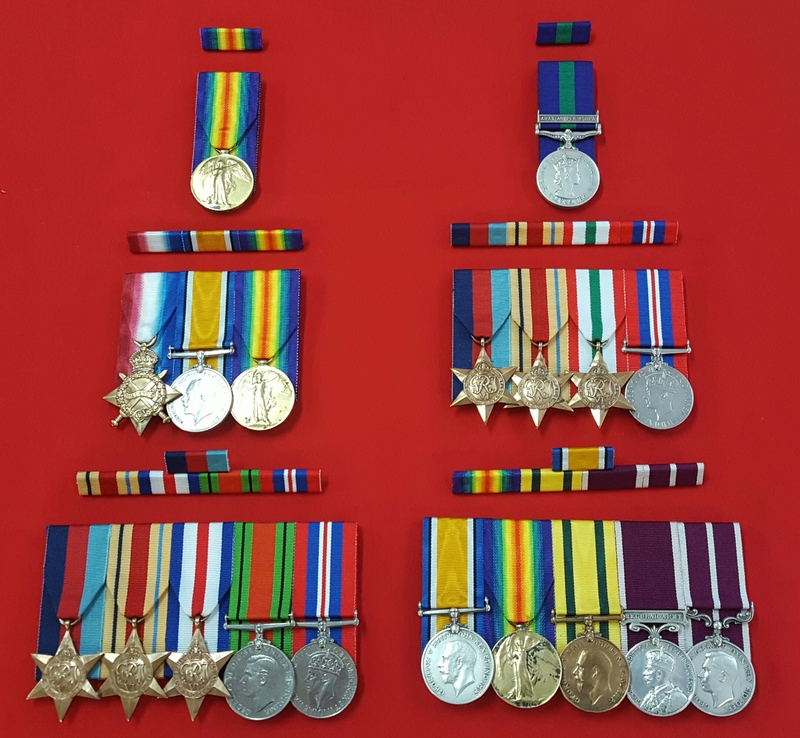 All you need to do is bring your medals or items in for us to inspect and offer the most appropriate method of mounting and display.